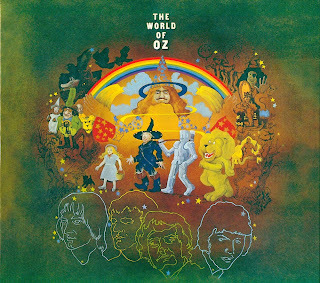 The World of Oz were a British psychedelic pop band that enjoyed a short string of successful singles in Europe. Between those major charting records in Holland and a lot of good press at home, the release of an album was planned -- yet they managed to throw it all away with an unexplained split. All four original members -- Tony Clarkson (bass, vocals), David "Kubie" Kubinec (organ), Christopher Robin (guitar, piano, vocals), and David Reay (drums) -- hailed from Birmingham, and had been parts of that city's burgeoning pop/rock culture for varying amounts of time. Clarkson had several years' experience playing in various bands, and had also performed on the European continent. Kubinec had spent two years working mostly in Germany as a member of the Pieces of Mind, doing a mixture of R&B and soul. Reay and Robin (real name Christopher Evans) had played in a band called the Mayfair Set, working in Germany for a year before returning to Birmingham late in 1967, where they broke up. The pair decided to form a new band, and Kubinec and Clarkson were recruited through advertisements in musician magazines. In January of 1968 they formed the group, the "Oz" name and imagery fitting in with the trippy ambience of the late '60s. They decided that while Birmingham's club scene could provide work, it didn't offer the kind of prospects for a recording career that they had in mind, and so they headed to London. Their songwriting ability got them snatched up by Sparta Music. And for a manager, they had no less a figure than Barry Class, who was best known for his most successful client, the Foundations (of "Build Me Up Buttercup" fame). Class lived up to his last name by setting the group up in a luxury apartment on Park Lane, in London's exclusive Mayfair district, long a fashionable locale for movie stars and theater performers seeking to put on a big front in their lives. It made for a fair amount of press access and good press, as well as impressing various record company executives, accustomed to dealing with up-and-coming bands living in near squalor. Between the quality of their songs, played at impromptu auditions or the gigs Class was able to get them, and the gimmick of their high-profile digs, the band received serious overtures from several record companies, including Pye. But in the spring of 1968 they signed with Deram Records, the progressive pop imprint of English Decca. Wayne Bickerton, who headed Deram, thought enough of them to personally produce this new act, and his enthusiasm was more than enough to seal the deal. He even approved and budgeted the use of a 33-piece orchestra accompanying them on one of Kubinec's songs, "Muffin Man," at their first recording session. "Muffin Man" was issued as a single in England and on the Continent in May of 1968 (and a little later in the United States). A catchy tune with great hooks, instrumental as well as vocal, and a trippy, nursery-rhyme-like ambience, it somehow managed never to chart in England. According to Kubinec in an interview on the psychedelic site Marmalade Skies, things began coming apart when Class accompanied the Foundations on a tour of America and left the World of Oz in the hands of a deputy who immediately cut back on the promotion budget for the group and the single. In trying to save a few shillings, he cost them the momentum they'd been working for months to build up, and the single just lay there. The key moment, in his view, was missing a chance to do the single on Top of the Pops. However, the record did reach the Top Ten in Holland, sold reasonably well across Western Europe, and also managed to get some positive response in the form of radio play in the United States. Three months later came their second single, "King Croesus," which also made the Top Ten in Holland, and got to number 126 in the Cashbox charts late that fall in America. Additionally, despite the fact that they hadn't charted a single in England, the group's sound -- a light, harmony-based psychedelia similar to the Bee Gees and records like "Barker of the UFO" -- and Class' clout got them as much work as they could handle and more. The band lasted through two more rounds of recording sessions in 1968, through November of that year, and even got a third U.S. release, for "The Hum-Gum Tree" b/w "Mandy-Ann." An album seemed a next easy step, but things weren't right within the band, and Kubinec and Reay were already gone -- for reasons no one has ever explained -- by that last set of recording sessions, replaced by Geoff Nicholls (guitar, organ) and Bob Moore (drums), respectively. The group soldiered on, under a rather awkward shadow -- Deram Records already had a finished album in the can and a February release date, and that record was coming out, despite the fact that it featured two key members who were already gone from the lineup. Meanwhile, the World of Oz had another modest hit in Holland, "Willow's Harp" b/w "Like a Tear," early in 1969. The new lineup made it as far as appearing on the televised rock & roll showcase Beat Club in Germany and other, similar programs in Holland, and on the cover of pop magazines in the Netherlands. Finally, another U.K. single, of "The Hum-Gum Tree," was due out, but then was canceled. That, apparently, was the final straw for the reconstituted band, which broke up in May of 1969, a year after the group's recording career had begun. 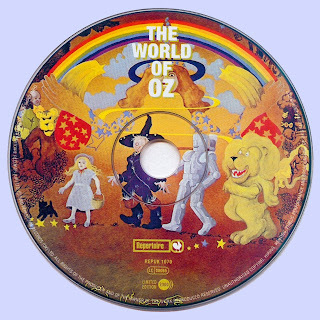 The World of Oz LP was released on schedule and disappeared without creating a ripple on the charts, on either side of the Atlantic. The album cover was a very strange one -- it featured visual representations of the last lineup of the group, which was understandable but also strange, as they were hardly heard on the record inside. 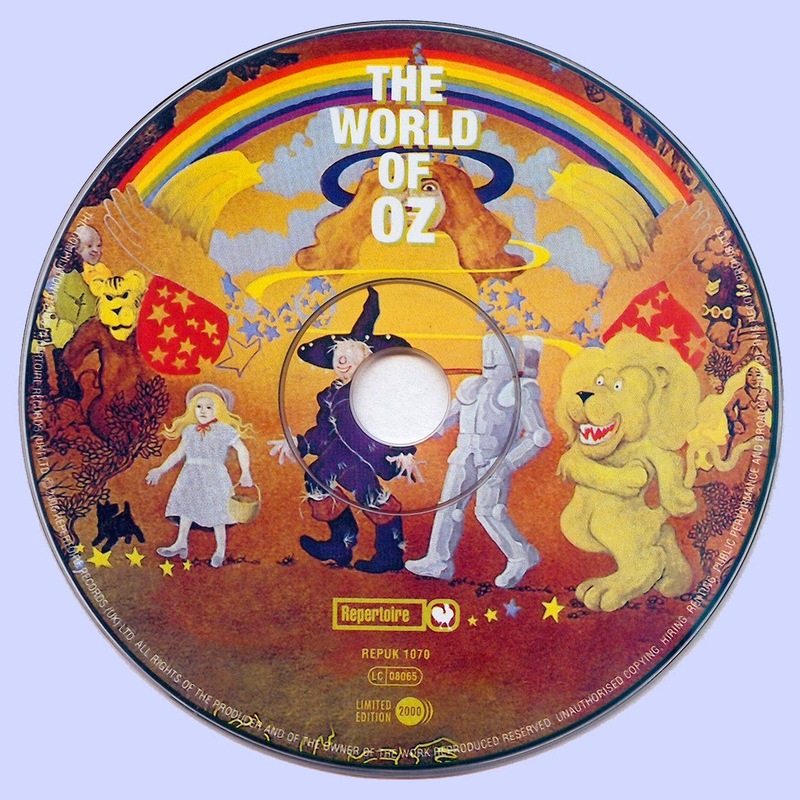 The cover design was an especially ornate affair, utilizing characters from L. Frank Baum's The Wonderful Wizard of Oz universe, which, according to Kubinec, also included representations of their manager, and even annotator Jonathan King, while the back cover had images of Bickerton and arranger Mike Vickers. As a psychedelic artifact, musical and visual, that LP and the cover were serious collectors' items for many years. It was bootlegged on CD sometime in the late '90s, before a legitimate re-release from Repertoire Records showed up in 2007, concurrent with a mini-LP-packaged CD in Japan. Given relatively easy availability at last, the album reveals a prodigiously talented pop/rock band, nothing earth-shattering given what they and Class and Bickerton were aiming at, but with a lot of unrealized potential residing in those songs. And the singles "Muffin Man" and, better still, "Like a Tear" reflect a tuneful, trippy psychedelic pop sensibility, somewhat similar to the early Bee Gees -- in addition to appearing on The World of Oz, they have been anthologized on various psychedelic collections. In the years following the World of Oz's demise, David Kubinec did a solo album on A&M Records about a decade after the original group's signing, while Reay became a recording executive. Both Kubinec and Clarkson have since enjoyed long careers in music, right up to the present day. Nicholls, though a later member of the group, did rather better in music than any of the others in the band, however; after a stint with Quartz, he joined Black Sabbath for a long stint as their keyboard player.